Does anybody have an idea what it is? Nah, it's not Lahmacun... it's Zatar pie "Mana Eysh"
NotAClue, I expected you were talking about meat, because the word meat in Arabic means "Lahma", So it seems like this Turkish word has origins from Arabic..
NotAClue, I don't blame you when you don't find it appetizing, coz regardless to the fact that it's strange for your food culture, this one in the photo is really badly made. Generally in Saudi Arabia, and because it's not a part of their genuine food culture, they do it really dry and thin in a way that it does not only taste bad, but also look worse.. 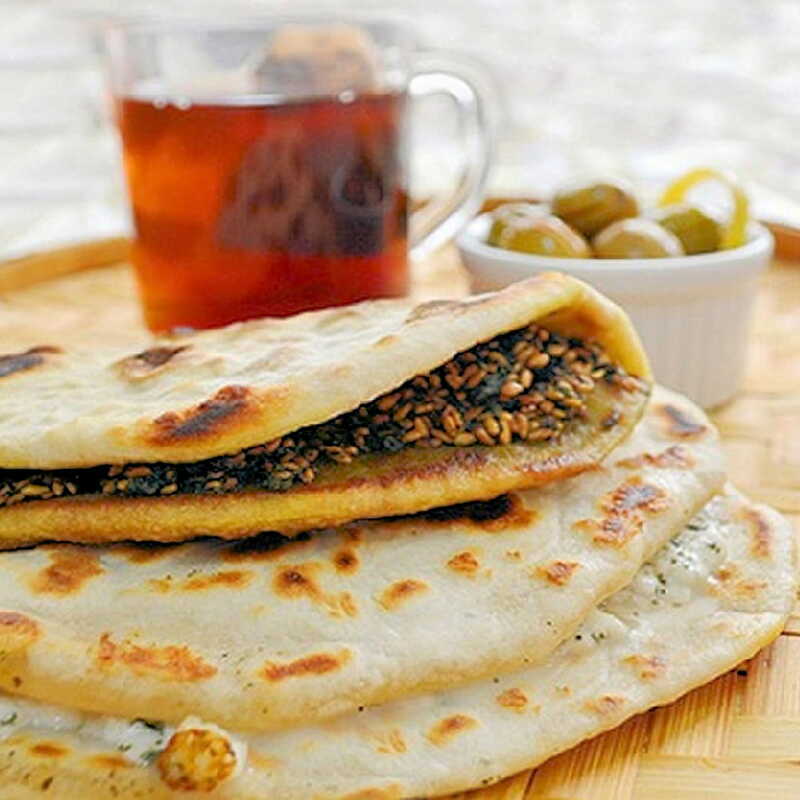 I hope you would have a chance to try it one day... and apart from that, can you please tell me what lahmacun is!! !